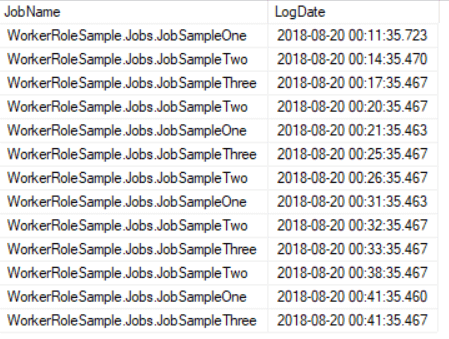 In this article, I will be explaining the usage of Azure Worker Role along with Quartz.Net and a practical example showing 3 differents jobs running under the same worker role. 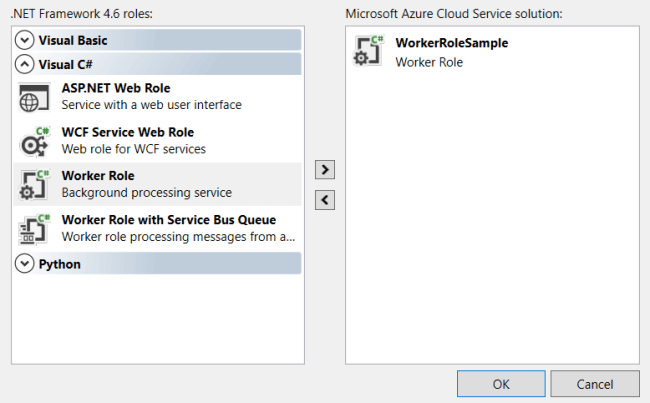 In this article, I will be explaining the usage of Azure Worker Role along with Quartz.NET and a practical example showing 3 different jobs running under the same worker role. What is Azure Worker Role? "The WorkerRole element describes a role that is useful for generalized development and may perform background processing for a web role. A service may contain zero or more worker roles." Read more here. "Quartz.NET is a full-featured, open source job scheduling system that can be used from smallest apps to large-scale enterprise systems." Read more here. Read more about it's features here. What are the benefits of using Azure Worker Role + Quartz.Net ? Schedule more than one job to run in the same instance and much more.. Check Quartz.Net schedulling options here. Need help to create your database? Check how to create your local database here. Check how to create your Azure database here. 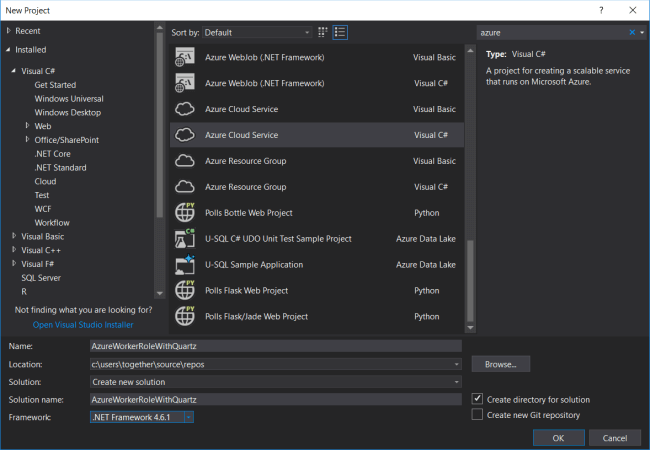 Create the project as a cloud service project, with the worker role as following. You are going to have two projects in your solution, pay attention in the current project when installing the NuGet Packages. These are the jobs that are going to be used here, do not forget that they must inherit from IJob. This is the business class definition. Now, let's schedule these jobs to run in different timing. You can see that the first job is going to run after 1 minute of its deployment and then for each 10 minutes. The second job is going to run after 4 minutes of its deployment and then for each 6 minutes. The third job is going to run after 7 minutes of its deployment and after that, for each 8 minutes. Here, we have the result of the worker role execution for 30 minutes. Congratulations, you have successfully set up your Azure Worker Role to run along with Quartz.NET.